Newcomer Family Obituaries - Lawrence Robert Suazo, Jr. 1947 - 2018 - Newcomer Cremations, Funerals & Receptions. Lawrence (Larry) Suazo Jr, 70, died Wednesday August 1st 2018 at Denver Hospice. He was born in Denver, Colorado. He was a member of American Legion Post 22. Larry served our country during the Vietnam war and received two purple hearts. 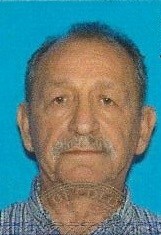 Larry had many interests, he liked to play pool, listening to oldies and dancing. He also loved to travel with his wife Linda. Larry had many friends who all loved him. He enjoyed his comradeship with his fellow Marines. Larry was a very loyal and generous man. He would give and share with all. Larry was a very passionate man. He dearly loved his wife Linda. He had a special relationship with each of his children and his grandchildren. Larry is survived by his most loving wife Linda. Larry is survived by 7 children, Kristy (Ken) McCollar, Stephanie Suazo (Adair Boots), Lawrence III, Donnie, Jamie (Rick) Padilla, Ernesto (Jaime) Padilla, Monica (Gary) Romo. He is also survived by 2 sisters Kathy Griego and Rita Ward. He has 18 grandchildren and 3 great grandchildren. He is preceded in death by his mother Katherine Gonzales. Add your memories to the guest book of Lawrence Suazo, Jr..
Papa I loved you so much. I miss you. You will never be forgotten. You were such a strong man and you survived the Marines! May the Good Lord wrap you in His arms of Love during this very difficult time. I'm very sorry to hear of my cousins passing. His dad and my mother, Annie Suazo, were brother and sister. Sorry I won't be able to attend any of the services, i just found out today. I live in San Diego. My condolences to his family. Rest in peace cousin Larry. Thank you for your service. My dear best cousin Larry , I remember our great family days you were always making us laugh and being together you loved my mother as she loved you. We were all so proud of you being in the Marines but my momma was also worried about you You were so proud being a Marine and serving our country Ruben and I will miss you so very much Rest In Peace GOD Bless you Until we meet again I will Love you forever Your cousin Barbara June and Ruben Carrasco. I remember Larry suazo always being a person that i would come and talk to when i was a little kid and he always made me look at things in a better light! Made me realize how Blessed i really was to have the things that i had! And no matter how bad my life got and i felt down he was a man that would lift me up and allowed me to talk while he listened! And then i also listened to him because he always cared about my well being! Thank you uncle Larry for always being a good person!!!! Until we meet again! Larry I'am really going to miss you, we go way back 50 yrs lots of great memories that I will keep forever Bro. I'am so glad to have known all of your Loving Family including Joe,Rita,Kathy, and of course Your Mom & Dad who I really got to share some time with them and your children and all the little ones around you and Linda every one will miss you very much Bro RIP . From my family to yours God Bless. Larry, it was an honor and a privilege to have known you for a very long time. All the stories you told, all about your past and what it meant to you. Both Dennis and I shared many times, partying, BBQ's we all spent with you and Linda many years ago. I know I never kept in touch with you and Linda, but I did think about you many days after since the last time I saw you. Linda, my condolences to you and to his family. Larry will never be forgotten as a good, honest, giving person. He was a survivor, and strong man and truth to his word. I have know Larry for several years at Post # 22 He was one of the nicest persons I will ever know and will not be able to be at his interment. I will be there in memory . As the post Commander he help make my job a better one. and will miss not seeing him at the post we will have him in on your memory board. my the lord bless him and keep him. Larry, you were such a good friend to us. You were such a kind and generous man We will definitely miss you. Forever in our hearts, never to be forgotten. We love you!